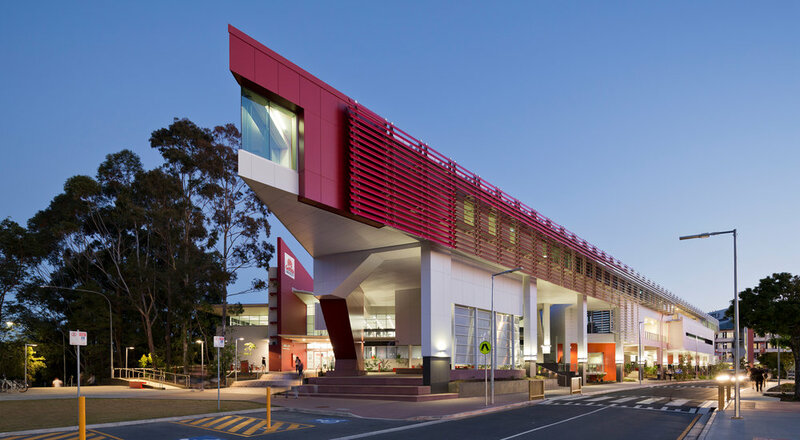 The project consists of a considerable 3 storey extension to the existing library at the Griffith University Gold Coast Campus. The building provides various spaces for the students and staff including collaborative spaces, computer lounges, laptop lounges and quiet spaces. It also contains the GUMURRI Centre for the support of the universities indigenous students. The project was technically very demanding and was delivered under a design construct type contract. – Paul Smith at Watpac Specialty Services. campus. MPN’s innovative structural design of this technically challenging structure enabled this landmark to be achieved. MPN provided a number of value engineering options to the client to assist in reducing the costs of the project and meeting the client’s budget.